Riding high on illustrious innings of 193 and 159 respectively by Cheteshwar Pujara and Rishabh Pant, India continued piling on the misery on the Australians, romping their way to a massive first innings score of 622-7 in Australia Vs India Test 4 Day 2. The two were in tremendous form on day 2 of the test match, toying with Australia’s bowlers, slicing past them with such ease, grace and class that Tim Paine and company were left with no answer on how to dismiss them. The seventh-wicket record making partnership between Pant and Jadeja of 204 left them so high and dry that the hosts gave up even trying to dismiss them, just going out the motions, giving almost everyone a bowl as they waited for India to declare their innings. Resuming his innings at 132, all eyes were on the mercurial Pujara as the entire country waited with holding their breath for his double century. He continued his assured and steady innings till lunch, working out the runs at a comfortable pace with the elusive figure all on the horizon for him. However, post lunch, Pujara who was clearly feeling the brunt of playing out over 350 deliveries in his innings, started feeling the effect of his marathon knock. Wanting to up the scoring rate, Pujara decided to take on Nathan Lyon, hitting him for a couple of boundaries before eventually falling at the last hurdle, knocking one straight back into the spinner’s hands to bow out at 193, leaving us all tantalized short of his 200. The innings saw the record tumble in Pujara’s favour though faced with 1245 balls this series till now. He became the player to face the highest number of balls in a series of maximum four test matches, breaking Rahul Dravid’s prestigious record set in 2002 in England. 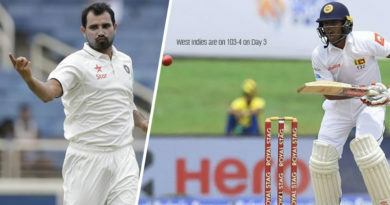 Pujara’s patience, will and concentration was also emphasised by him becoming only the fourth test batsman in the world to play over 500 minutes in two innings in a test series against Australia. Just when it looked like Australia had finally got rid of the main man, Pant stepped up for India to continue piling on the misery on Australia on a hot, sweltering day at the SCG. It was a much-improved innings from the wicket-keeper’s bat, one that saw him check his intent in the initial part of his innings, not mistiming the ball as he usually does to maintain composure and play out well-worked innings. Providing Pant with excellent support at the other end was Jadeja who celebrated his half-century in style soon after Pant had reached his 2nd test century. Both his triple-figure scores have come on foreign soil with the previous one being played out against England in 2018. However, the Indian camp was in no mood to declare with even the players reaching their personal milestones. Looking to keep Australia bending their backs in the heat, the declaration never came as Paine’s uninspired captaincy saw Pant and Jadeja reap the benefits of. Upping the scoring rate, Pant and Jadeja played expansive shots, mentally killing the Australians with each shot that raced to the boundary. 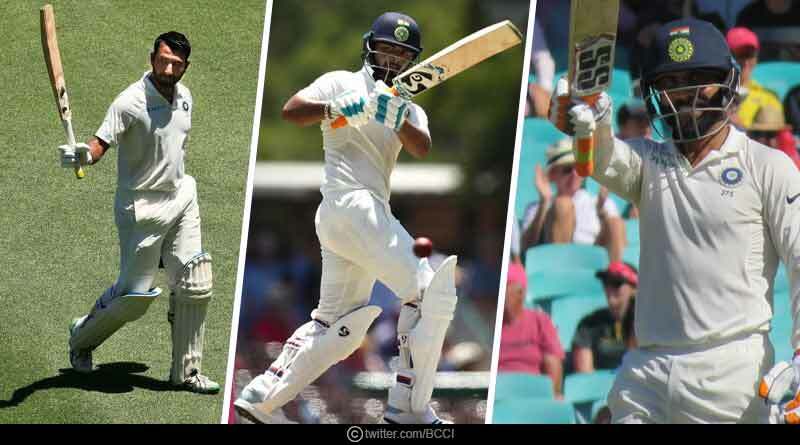 Pant soon reached his 150, becoming the first Indian wicket-keeper to reach the mark in a test match against Australia. Jadeja who was in free hit zone now, took on Starc, piling 4 boundaries off a single over of his batting with three of them coming off pulls as he dissected the gap between long-on and deep square perfectly. The mammoth 204 run stand finally came to an end with Lyon knocking Jadeja’s wickets as he tried to go for another lofty shot. It saw India declare their innings at 622 to give themselves 10 overs to have a go at Australia. India could have gone into day 3 with a scalp in their kitty as well if Pant had held onto a regulation catch off Khawaja. The opener was forced into playing a shot by Shami, one that just ended up catching his edge but Pant moved far too late, misjudging his effort to see it slump out of his hands. For more articles like Australia Vs India Test 4 Day 2, do Subscribe to our newsletter and follow us on Facebook, Twitter and Google+. ← Uttarakhand News – Uttarakhand samachar – मुख्‍यमंत्री ने हवाई सेवा का शुभारंभ किया ← How to turn your passion into a business?